Most of the people, whether male or female, nowadays carry cellular devices. you are also one of the people who keep cellular devices in the pocket, right? But keeping cell phones in the pocket is in no way a good activity. Researchers have been made attempting to find out the effects of cellular devices. The various coursework writings on effects of cellular devices show that the cellular devices emit radio-frequency electromagnetic radiations, therefore these should be kept away from the human body. Experts recommend that cell phone should be kept at least three to four feet away from the human body, otherwise, it can have adverse effects. 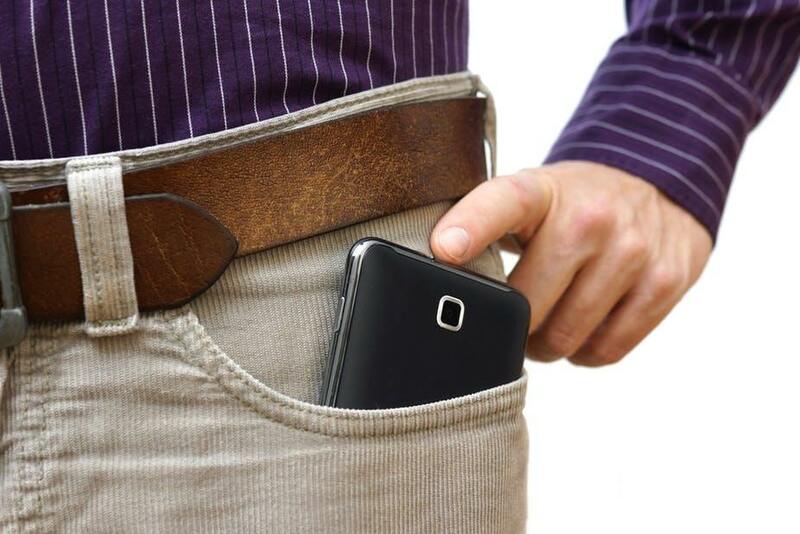 Read on for some of the main effects that keeping cellular devices in pockets have carried so far. Apart from being breakable, electromagnetic radiations and waves are emitted by cellular devices. Therefore, keeping cellular devices closer to the body, or in the pocket has safety hazards. As cell phones emit non-ionizing radiofrequency electromagnetic radiations, body tissues near to the cellular devices can absorb this energy that can result in serious health hazards. Dr. Davis advised keeping cell phone away from the body because the absorption of cellular devices signals by body usually goes down at distance. Males usually keep cell phones in pent pockets which is in no way friendly for the male reproductive organ tastes, in which the sperm is made. Keeping cellular devices near to tastes damage sperm cells and kill sperms. This is an alarming situation because the damaged sperm cells can result in defective reproduction and offspring can be disabled. Killed sperms can lead to no reproduction at all. A recent study at Biomedical and Clinical Engineering Centre in Turkey showed that radio-frequency electromagnetic radiations emitted by cellular devices tuned to be 1.8GHZ. The study revealed that Rf-EMR exposure affected males of reproductive age. The radiations affected the fertility and the health of males. It is always an area of concern that whether cellular devices cause cancer or not? It is, in fact, an alarming situation that cellular phone radiations have been linked to different kinds of cancer. Evidence showed that the radiations emitted from cellular devices can result in Tumor and breast cancer. The woman carrying cell phones in their bra is always at the risk of breast cancer. The recent study in California at Breastlink showed that cellular radiations can cause breast cancer. The cases of four women aged between 21-39 were examined in research. The result showed that they have developed breast cancer. The development of breast cancer was the result of the electromagnetic radiations emitted from cellular devices. Similarly, the cellular device’s radiation results in another form of cancer such as Skin Cancer and Testicular Cancer. The other potential effects of cellular devices radiation apart from reproductive system and cancer is endothelial dysfunction, change in the temperature of the skin, the effect to the immune system in the body defects in the nervous system. Studies showed that cellular devices are associated with a central nervous system that results in changes in sleeping patterns, headache, fatigue, and increased brain stress. The cell phone radiations are also in effect with an increased brain tumor. These are some alarming situation that is the result of the use of cellular devices and keeping them close to the body. The electromagnetic radiations are in no way friendly to the human body and the effect they part of human body which is closer to cellular devices.